Sweet 'pan' music once played a central role in Carnival. Now, the sound of the steel-pan is rare in Dominica. And it seems to be getting more and more distant, like a fading echo. But there are those who would like to see a revival of pan. They include including pan-ists Atherton Martin and Jacqueline André, longtime cultural advocate Alwin Bully and musician, Ian Jackson, among others. They are convinced that there is still a place for pan in Dominica and would like to see a revival of pan music. Bully, a member of the Dominica Festivals Committee and the National Cultural Council, recalled a time when Dominica had many talented pan-ists. He said popular steel-bands of the 1960s  like Chocolate County, Vauxhall Steel Orchestra and Esso Steel-band  all had many skilled pan players. Today, only a handful of pan groups are active in Dominica. These include Pan in Harmony, managed by Jacqueline André, the National Bank of Dominica Possie Culture Pan and Genesis. Phase Five incorporates the steel pan as part of a mix of instruments for performances. Bully knows that pan needs a shot in the arm, but there are significant challenges  the instrument is expensive, as are the services of tuners. Indeed, Dominica has no pan builder or tuner, so such services must be sourced overseas at high cost. "I think [pan] needs a revitalization in spirit and in practice. . . the way we should be going is to bring in a good strong side from Trinidad or Antigua or St Lucia . . .
"Let the public get a taste of what a full steel-band sounds like and the range that the pan has . . . playing different types of music from classical to calypso to 'zouk' to anything…." Bully said. He suggested immediately follow-up on the exposition with offers to teach pan. However, the Division of Culture would need to make pans available to students, he said, noting that a properly tuned set could cost as much as $6,000. Bully added that many young persons in Dominica today haven't heard a steel band in all its glory. Meantime, Jacqueline André  who operates a 'pan yard' at Canefield and gives free pan classes  lamented that these days students are unwilling or unable to spend enough time practicing. André, a pan-ist herself, said many pan students are not committed to doing practice drills, which they readily set aside for parties and other competing interests. Another problem is a severe shortage of dedicated pan tutors. And children are distracted by other types of music and a plethora of new electronic gadgets. André recommends inculcating a love of pan early in children's lives, which means generating interest in pan at the primary school level. Such efforts should go hand in hand with teaching students the basics of reading music, which would make it easier for tutors, she said. A solid foundation in music based on pan established at the primary school level, could then be built upon at the secondary school level. Opportunities for students to play pan overseas or to travel on student exchange programmes could motivate them and sustain interest in pan among young persons, she added. André agreed that more exposure featuring skilled pan playing can help to rekindle interest in the art form. Further, she highlighted the need to incorporate pan in many different genres of music to appeal to a wider audience. Pan should also be played throughout the year, not only at Independence or Carnival, André said. She believes the decline of interest in pan needs to be addressed urgently or pan will die in Dominica. Commenting on the absence of tuners, André noted that the art of pan-tuning has a long learning curve and requires a lot of time and patience. Her father, the late Eddie André, was the only tuner on island for many years until his death. Government can consider sending interested persons to learn the art of tuning, which can take three to four years, André said. Reviving pan does not require a significant initial investment because there are resources available that could be made use of, André explained. Those involved in the revival could then attract additional resources by showing that there is great potential for pan development in Dominica. 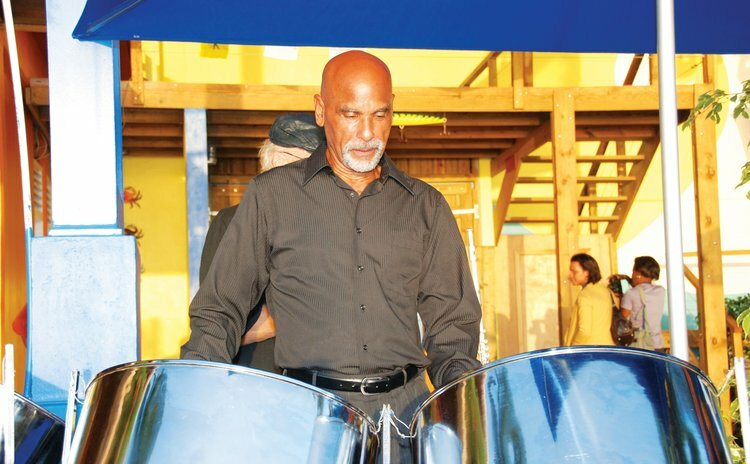 Member of the Phase Five band, Ian Jackson said the pan industry in Dominica seems "really dead" when compared to its widespread popularity in earlier years. Jackson recommended policies be put in place to create employment opportunities for skilled pan-ists within the tourist industry, including at hotels. "There's no employment for [musicians] involved in pan music…and if it continues like that, then obviously it is going to fade away," Jackson said. He also noted the need for trained tuners and suggested that Government can offer scholarships for persons to go overseas and lean the art. The Cultural Division's Cultural Officer for Music, Earlson Matthew said the division hopes to implement a programme to give pan a new lease on life in Dominica. The division recognises that many pan players cannot teach, Matthew noted; therefore, a trainers' programme would be essential to any revitalization effort. He also pointed out that an appropriate starting point for revitalization efforts would be the resuscitation of the local steel-band association.